Queen duvet cover (88" x 88") featuring the image "Progressive Intervention" by John Beck. Our soft microfiber duvet covers are hand sewn and include a hidden zipper for easy washing and assembly. Your selected image is printed on the top surface with a soft white surface underneath. All duvet covers are machine washable with cold water and a mild detergent. There are no comments for Progressive Intervention. Click here to post the first comment. 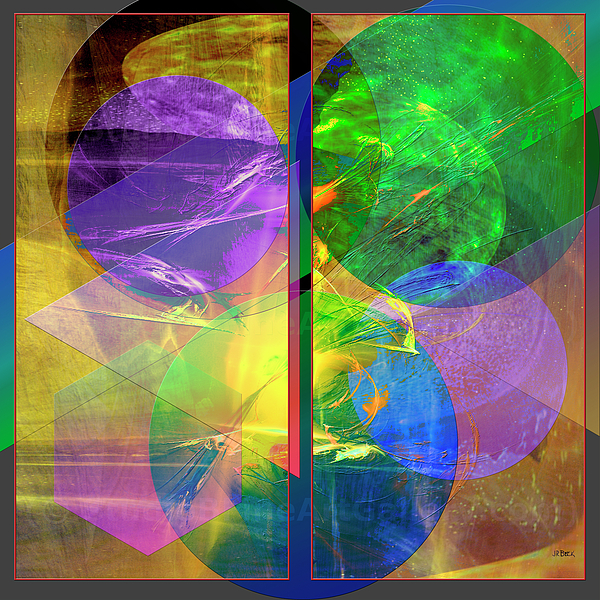 This abstract art was created in 2008. Progressive Intervention is a companion piece to Ocean Fire. The art was also created with the two-panel look. I also have a square version of this art. If you wish to see it, go to the Square Art Gallery that applies to this art. I have tried to keep the same feeling in the square version as the rectangular piece has. The Fine Art America watermark logo will not appear on the print that you order. The rights for reproductions of this print as well as the original art are solely that of the artist (John Robert Beck) and all copyright laws apply (Copyright John Robert Beck).